We are now home and back to our routines and hopefully a little more mindful of those around us, especially those in need. We departed Newark on May 2 and much to our chagrin the flight left early. Not on time…early. Our early arrival created some problems of delayed room availability all of which John and JoAnne Connolly, with Dr. Richard Milone, resolved with grace and with patience. Soon everyone was in their rooms, catching up on lost sleep and building energy for the wonders of Lourdes that awaited them. By the time we got to the first Mass at the Rosary Basilica, we were well on our way to another spiritual and special week. One thing that became clear very quickly was that we could not have managed to iron out all the details without the help of the Connollys, Milones, Carters, Millers, Metzs, Jack Pohrer, Ken Craig and the Auxiliary, the Berardinos, Besgens, Bycrafts, Dillmeiers, Durnans, Tisdales, Monsignor Wallin and the clergy, the medical staff, Laure Aubuchon, Carole Less, the McCooeys, the Fredericks, Peggy Lyons, Des McCarthy, Hap Redgate, John Mitchell, John Jennings, Beth Dolce, Kim Gillespie, Michelle Babyak, Joanne Cancro, Sue Farrell, Cary Sheren, Steve Leland, Jack Sise and Ray Pierce, Pam and Maureen from Executive Travel, and Carla, Maria, Miquan, Kathy, Ann Peabody, Ray and Jeff Trexler at the New York office. Plus all of you for whom we ran out of space to include. You know who you are as do those whom you touched through your actions. We realize that we can never thank you enough. Through your service, you demonstrated how to be “forgetful of oneself” and how to give until it hurts. We want to thank you for radiating Christ and the mission of our Blessed Mother and St. Bernadette during the Pilgrimage. During the Pilgrimage, we saw many examples of you feeding the hungry, clothing the naked and taking in the homeless. This year, we were blessed with the benefit of the spiritual direction of some fantastic clergy. The Association was blessed with the presence of Cardinal O’Malley at our Association Mass at the Grotto as well as at the International Mass on Sunday. It was said that the International Mass was attended by over 25,000 people. A lot of prayers made their way that day through Mary to Her Son. Every day was made special because of the Liturgies, reflections, Stations of the Cross, Eucharistic Adoration. Many of our Malades, care givers, Knights, Dames, Auxiliary and volunteers experienced the healing power of the Baths. And the peace that comes from the Sacrament of Reconciliation was shared by so many. Peace and healing come in many forms and in many ways – Lourdes provided the backdrop for the miracle of God’s love and mercy. For the most part, the weather cooperated and the sun shone through on us…enough of the time. We were treated to some special homilies, a First Holy Communion, and many interesting points for reflection. But most of all, we were delighted to see so many smiles on our 54 Malades. They joined us from all over the country as strangers and left as members of a spiritual family. We have heard from so many of you thanking us for our work. For us, it is our turn to thank our Malades because your smiles are all of the thanks we need. As some writer once wrote, “it is not necessary to thank us when what we are doing is our duty.” It truly is an honor for us to have had you join us on our Pilgrimage. You have warmed our hearts and touched our souls. 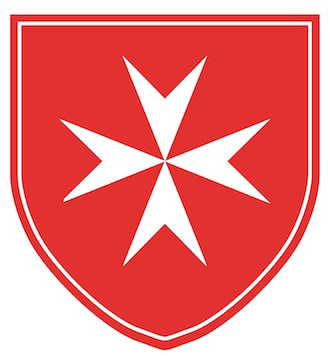 You helped us carry out the mission of the Order of Malta. We were also blessed to have so many generous financial donors to support the Pilgrimage. Although the costs of the trip are at an all time high, with the price of jet fuel leading the charge, we achieved a new record for contributions to help defray the cost of the trip. We are grateful. And wouldn’t you know it, the Charter Flight was waiting for us at the Lourdes Airport when we cleared customs to depart for the United States. And on this leg of our journey, leaving early was a good thing. Hopefully everyone got home a little bit earlier than expected. We hope you enjoyed the Pilgrimage as much as we did. We now hand over the gavel to Barbara and Joseph Miller as they make the preparations for the 2008 Pilgrimage celebrating the150th anniversary of Our Lady appearing to Bernadette. May Our Lady of Lourdes pray for us.